There would be something captivating about it. The lines don’t really mean anything but they sound like they should. Phrases like “The king of the amorous peerage” and “tearless on the twain” have a nice bounce when read aloud. Throwing the lines into a plagiarism checker comes up 100% unique, and Google offers no answers. Even if the discoverer decided the poem was nonsense, it would be hard to dismiss: some long-dead person had to come up with these words and feel they were worth writing down. Even without any context, the humanity grants it an importance. Where the discoverer of the hypothetical attic note might have been driven to madness, bidding thousands in an auction to win an unearthed volume of poems by The Tearless Twain Poet, I doubt anyone would really be interested in sitting down and reading the hundreds, thousands, or millions of stanzas the Java program could churn out. It can produce so many words the amount becomes irrelevant. The semi-coherent sentences and sonorous turns of phrase become amusing coincidences, interesting to us humans but really only a temporary accident the computer made in while completing its calculations. It’s the same principle behind why things like the Voynich manuscript still earn public attention six centuries after its creation, while the equally mysterious and contextless creations of a computer, well, don’t. Not that I wanted No Man’s Sky to fail—I’m not a monster. I got as excited as anyone when a game (with colors) based on random generation was showcased and stole hearts at E3 2014. I don’t believe any popular video game has fully tapped into the allure of endless content and true surprise that random generation can provide, but there’s an important problem with random generation—how do you get attached to it? How do you stop looking at random generation as a tech demo (“what it’d make this time…”) and more like a game? When it comes to nostalgic ingrained attachment, can an algorithm’s temporary creation ever create a Bob-Omb Battlefield or a Hyrule Field? But every now and then a game earns attention for its randomness alone, especially when discussing the size of overworlds in video games. Before No Man’s Sky’s trailer made headlines, Minecraft was famous for having the enormous video game overworld. 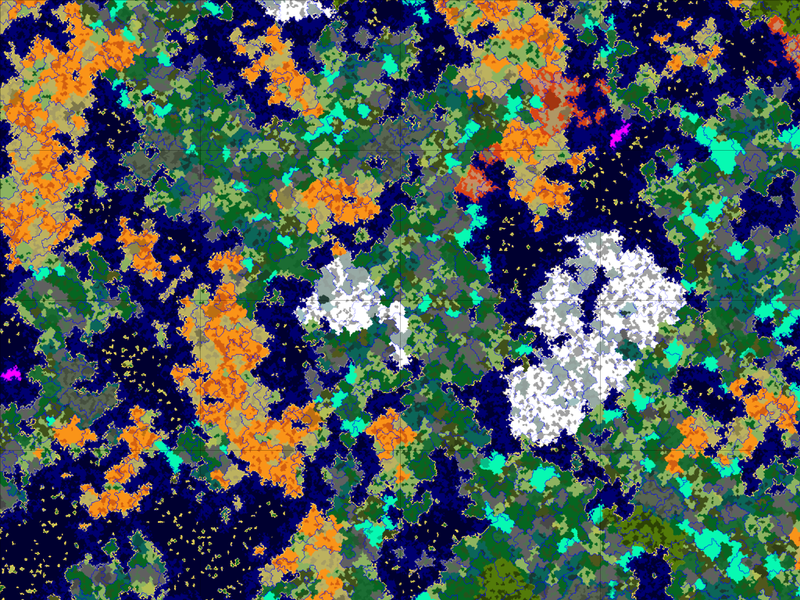 Its in-game map stretches thirty million blocks in each direction, which, if one assumes a block is a meter, is several times bigger than the surface of the Earth. Yet for all that terrain, exploring it leads to a familiarity with the game’s algorithm. “This is where that biome ends and another begins,” “this biome has ground blocks of sand,” “this one has steeper hills,” etc. In single-player Minecraft, the terrain becomes mere resources, an unsoiled canvas upon which to build your favorite SNES sprite or a calculator or what have you. Even though exploring the terrain has limited entertainment value, the terrain nonetheless succeeds in creating the feeling that the Minecraft overworld is genuinely enormous and full of resource and potential. A desert biome births a wintry biome across the water. What path is there then for a game that tries to showcase random generation as a central core to its game, something more than a backdrop or a level freshen-upper, but without the pitfalls of predictability and shallowness that No Man’s Sky fell to? There’s no set checklist, because there’s no set style of video game. What works for a narrative-focused RPG will be different than an open-world survival horror game, what works for a single-player game will be different from an MMO, what works for a sprawling Tolkien-esque fantasy world will be different from an explorable galaxy and space colony. But even across all these different styles of games, there are measures to ensure the random generation adds to the experience, rather than fill the space around and behind the experience. For one, random generation will gain immediate importance to the player when it becomes the destination, not the things between destinations. This could be as simple as removing some expected modern features like coordinates, pinpoint quest markers, or go-anywhere fast travel. Let NPC’s give the player directions now and then, let MMO players give each other local landmarks to follow, anything to stop the player from barreling over lakes and mountains in a straight line to the floating arrow or the correct X,Y numbers. (Mountains and lakes shouldn’t be nuisances! They should be pretty!) 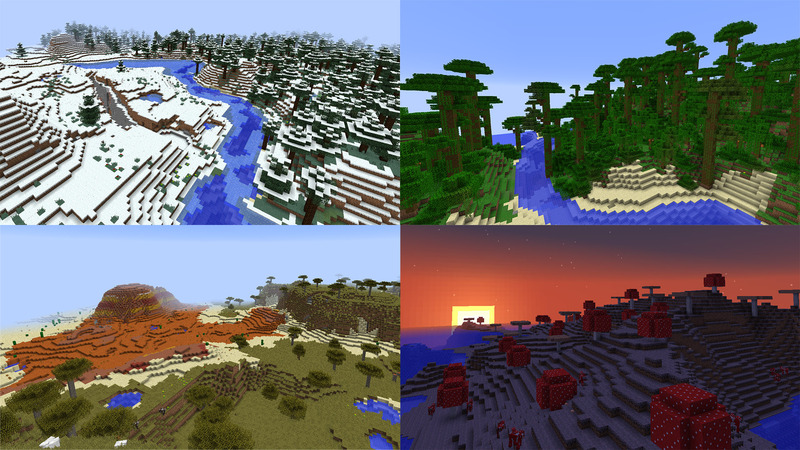 Walking with the plains, following roads and rivers, turning at distant mountains and geological features, counting futuristic city blocks from a tall skyscraper, these are all ways to engage the player with the environment that the game has made…provided the algorithm is advanced enough to provide all these easily identifiable features. It could also mean having to use the environment to your advantage. In a survival game, you could scope out jungles and dense locations certain animals would be attracted to. In an MMO, you could use difficult rocky terrains other players are unlikely to venture in as a safe place to hide your stash, or you could know what convenient parts of the world will draw easy-to-ambush players. In a Minecraft-esque crafting game, resources could be made scarce creating “deforestation,” forcing players to find new areas of the map. The developers don’t even have to dream up every use and strategy, just create a goal, an algorithm to build a world with enough variation and opportunities for interaction, and the players will take off from there. No matter how good the algorithm appears at first, if given enough access to its results, it can become predictable. Some initial No Man’s Sky reviewers (such as Polygon’s) were surprised with the survival and collection aspects of the gameplay, assuming the game would offer a more relaxed free-exploration vibe. However, I saw this as one of the smarter design decisions on the developers’ part. Giving the player full Google Earth-like freedom to zip around planets’ surfaces at top speed would’ve been liberating, but would’ve quickly cheapened the value and uniqueness of the random creations. Scarcity is always valued. The rock-collecting tasks and temperature management forced the player to slow down and delay the inevitable realization about the game’s limitations. How fun those gameplay aspects were is another story. The trick is not making it feel like the player’s purposely being deprived, even if it’s for their long-term pleasure. No easy task. 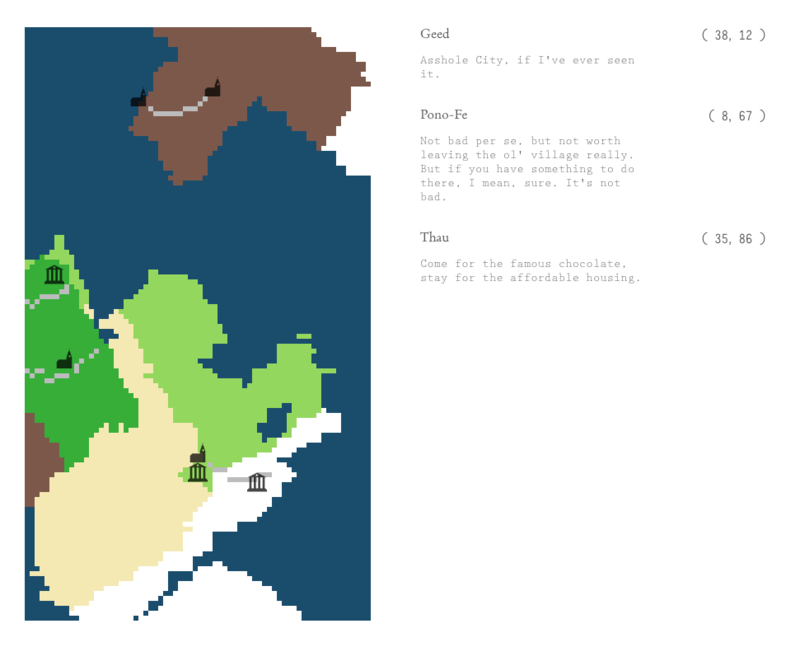 A Lands-generated overworld, complete with travel information for three cities. I’m the developer in this instance and my ruining it for myself is all part of the process of making a better algorithm, but I learned why it’s so important to hold back that feeling from the player in a completed game. If a snippet of a world (much more advanced than my little project) inspires any kind of awe or imagination (like, say, the first No Man’s Sky trailer did), it’s natural to want to see everything that game can make. And you can show players that big world, but don’t let them kill it for themselves by letting them mash the refresh button as fast as they can. There couldn’t be a better example of the joy of new behaviors and events emerging naturally and unexpectedly from a good algorithm. Dwarf Fortress has no programmed “win,” yet it has developed an intense cult following centered around the fun (and often morbidly dark) situations the game spawns. There is a blog (Dwarf Fortress Stories) dedicated to sharing stories of things that happened in campaigns before they “lost,” as well as a lengthy TVTropes page. Dwarf Fortress may be a very niche game with an infamous learning curve, but it shows that “losing” can be as fun, rewarding, memorable, and surprising as “standard” video games goals. Another consideration for games that want to use random generation to build immense overworlds specifically (like Minecraft or Daggerfall) is to use macro-level variation on top of all the more immediate variation. 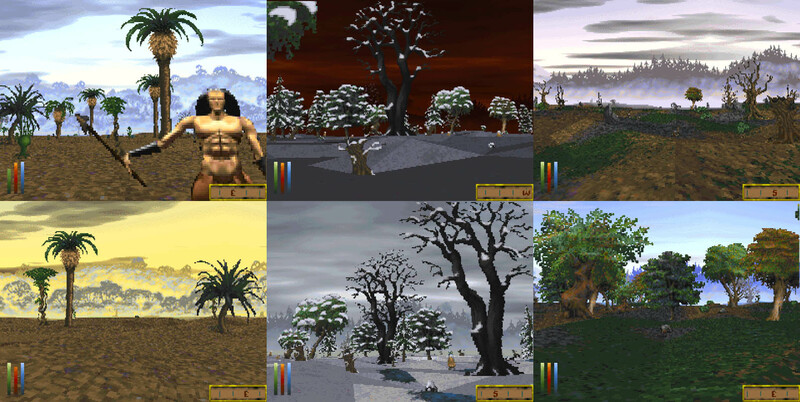 Daggerfall actually gave a whack at this by having a few different climates: playing in the south would give you sandy ground with desert flora, playing in the north would give you snowy trees, along with corresponding enemy, architecture, and dungeon variation, and so on. Even though you could only really appreciate it through fast travel, it was still a nice way to change up the game. If you got tired getting the same snowy surroundings, a trip to the desert could freshen up gameplay, until you get tired of the desert dungeons having scorpions with paralysis attacks, then you could pack up and head off to give another region a shot. There is a variation within the variation. Some ecoregions are small, some follow along mountain ranges, some sprawl across the width of continents. Some ecoregions can only be found on one continent. Not that a game’s goal should be recreating Earth—realism rarely implies fun, but a shallow predictability can take you out of a game and start thinking about its code. With macro-variations, travel has a new reward. 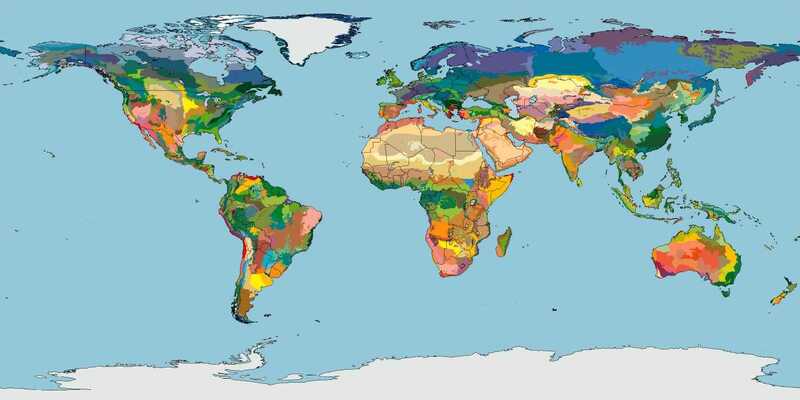 Regions have a character—every three square miles isn’t a bundled desert, plain, mountain, and tundra region that repeats over the surface of the planet like an old tiled Windows desktop. When you travel a substantial distance, you should be rewarded with things you’ve never seen before, not just a different iteration of the same world you walked from. It means developers will have to hide a good chunk of their hard work from the player when they first start, but it’s in the name of long-term enjoyment. Traveling across that giant world won’t give the player the sad realization that they’ve already seen everything and are wasting their time, it’ll give the feeling they haven’t seen anything yet and more could be out there. These suggestions so far have been loose to remain useful to the many different kinds of games one could make centered around random generation. There is, however, one absolute rule that no video game should break: it has to be fun to actually play. An interesting world only benefits a game when there’s a game to benefit. No Man’s Sky’s biggest sin wasn’t that its random generation was boring, it was that it wasn’t very fun. No improvements to its random generation would have saved it if the gameplay didn’t expand beyond slowly walking between rocks and upgrade stations, with the vague end goal of flying to a white screen and New Game Plus file. Even games with memorable worlds that were simply fun to hang around in are anchored by a fun gameplay or rewarding sense of achievement. To use Mario as an example, the relaxing resort vibes of Super Mario Sunshine or otherworldly physics and grand scale of Super Mario Galaxy would mean nothing if not for the simple joyous pleasure of running and jumping and flying around in a free 3D environment at the center of it all. In a combat or strategy-oriented game, there is the underlying feeling of personal growth as you learn to outmaneuver enemies and hone your tactics. In an RPG, there is the feeling of working your way to the top as your character gains experience, advancement, and copious loot and tackles on harder and harder enemies. Without these elements to keep you playing, an interesting world or interesting use of random generation is like an ornate painting in the lobby of a doctor’s office—the painting’s still interesting, but you’re not going to hang around the lobby a minute longer than you have to. Even though many games with random generation came with caveats or only used it as window-dressing, I don’t see this as a knock against random generation, but a call to action to create a game that truly taps into the potential given by wide-scale random generation these games have only hinted at. The fact that random generation continues to allure us and make us dream of giant surprising worlds makes me think that it can be done right one day. Even though No Man’s Sky is not shaping out to be the awe-inspiring hundred-hour sinkhole people hoped for, it has reopened the gaming public’s eyes to see random generation as a tool to build endless worlds, and hopefully through No Man’s Sky’s mixed reception a new wave of developers will step up to fulfill the promise it made. This article originally appeared on Gaming Reinvented.